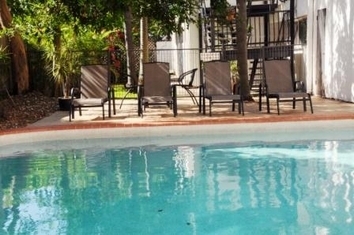 Set in one acre of landscaped gardens and conveniently close to both transport and entertainment centres of Brisbane, this attractive hotel is ideal for both business and leisure travellers. 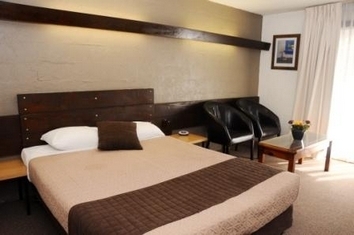 Just off the Gateway motorway, Airport Hacienda Motel is only 5 kilometres from the Brisbane Airport. The hotel is 6 kilometres from the town centre and is within easy walking distance to Racecourse Road, Portside Shopping Precincts. The Best Western Airport Hacienda has a variety of room configurations including one to five beds per room. From Corporate rooms to Family rooms all have a hint of the Spanish style. Rooms include quality beds, remote control tv, tea & coffee making facilities, Air conditioning & heating, tables & chairs. 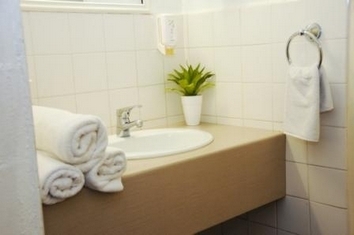 Bathrooms have showers, vanity, hairdryers, and iron/ironing boards. 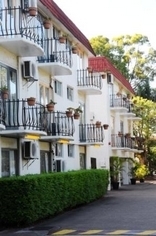 Most rooms have balconies. 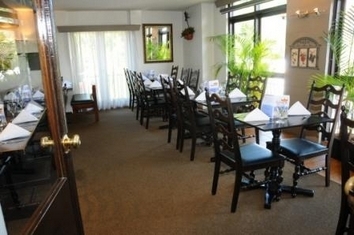 Guests can enjoy a variety of Italian and Australian cuisine at the onsite restaurant. During leisure, guests can unwind themselves in the sauna, play tennis or take a cool dip in the pool, Laundry facilities, Parking facilities, Sauna, Tennis court, Restaurant, Internet Access Conference facilities and Room Service. Sleeps 2 guests in a queen size bed. Fax services available & internet kiosk in Reception Foyer. All rooms have phones with data port and wireless internet access (fees apply). We can ALSO be accessed through our rear entrance facing Allen street since we go from one street through to another. The Hacienda has a tennis court, a large lawn, pool, sauna, and mini-gym (bench press) to temp the energetic. During your stay unwind in the sauna, or play with the children in the pool, or challenge the owners to a tennis match. Racecourse Road is nearby easy walking distance (500 metres) and is a village style street with retail shopping, banks, restaurants and cafes, hairdressers, and commercial offices. Brisbane city (5 KM) is easily accessed by taxi, bus, train or city cat (water taxi). Also walking distance to Portside Shopping, Restaurants and Cinema.